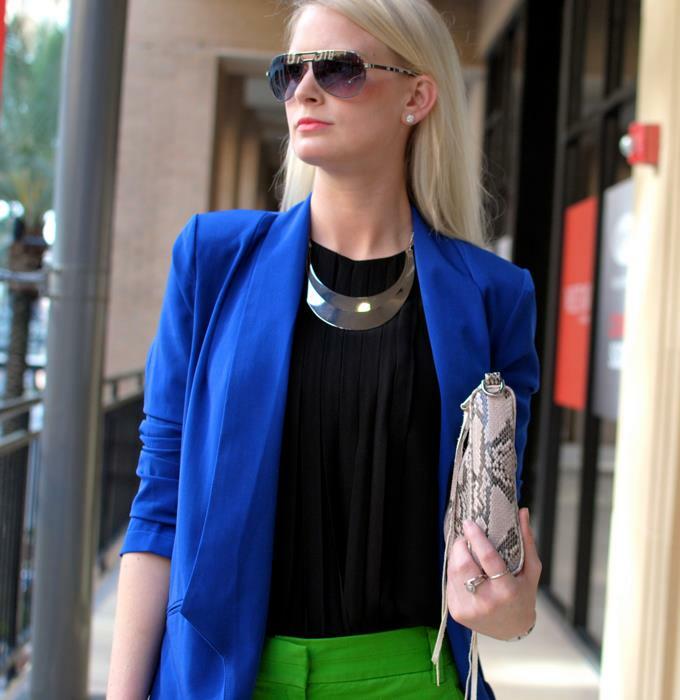 With St. Patrick’s Day coming up this weekend, I thought I’d push a little pop of green in this week’s outfit post. For color-block without the shock, try black and some cooler hues vs. brighter shades against one another. More versatile and fun to play around with a variety of hues. PS: I bought a new lens yesterday, specifically for portrait photography (i.e. the blurry backgrounds and eye-popping forefront)… Thoughts?